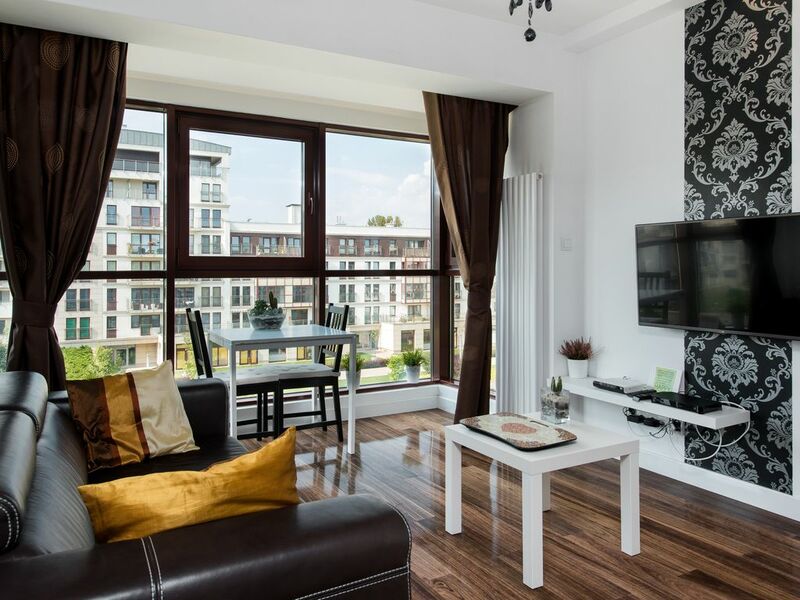 Luxury Modern Riverside Apartment, very Central Location, 4 min walking to- Ghetto Square, 7 min to Old Synagogue i.e. Jews Quarter and also little further 7 mins down is the Old Town. Just downstairs there is a leisure center with sauna, gym and pool that is available for extra fee. This apartment was very nice and clean; the location is very safe and easily accessible via public transportation. The tram is about a three minute walk from the back door of the apartment. The interior is very modern, and everything works perfectly within the apartment. I want to especially thank the owners for giving us guided tours in a timely, delay-free manner during our trip. It was a pleasure to stay here, and if we are ever in Krakow again, we will definitely reach out and try to stay here again. About as good as could be!!! The suite was in a great location. As well as being an outstanding suite!! Hope to return someday. Lovely clean comfortable modern apartment, it had everything we needed. The shops just outside the apartment also catered for our needs. The bakery/deli is highly recommended for sitting in and also for take out coffees. A short walk to the river provided a lovely place to walk. We were very satisfied with our rental and your responsiveness. It was with great pleasure that we discovered Krakow, which is a beautiful city full of surprises. What a treat to have such a modern and well appointed flat. Fully appointed kitchen - love the coffee machine! We enjoyed the very pretty view of the gardens from the unit. We were very close to everything we wanted to visit. Schindler factory a stones throw away; old Jewish quarter a 15 minute stroll along the Vistula; Wawel Castle 20 minute stroll and Old Town 25 minutes of easy strolling (no racing required here). Easy access to the flat and owners very easy to deal with. Would definitely come back and stay. You can take a nice walk along the river promenade, only 6 min and there are floating restaurants, bars. Turn right from there and you are in the heart of Jewish district with many many top rated Cafes & Bars and restaurants.